The mackerel is much under-rated, frequently shunned by the chef and shopper in favour of more familiar white fish such as cod or haddock. This is a shame, because mackerel has a lot to offer. Mackerel is a beautiful fish, all dark blues and greys, it’s skin shiny and sparkling, and it’s easy to prepare – straightforward to gut, no need to scale, easy to fillet. The meat is dense, flavoursome and rich, and the bones are huge and difficult to miss. It’s extremely good for you, packed with omega oils that are are good for aging or abused joints, and which also help to ward off heart disease. Omega 3 is good for the brain, and we can all use a bit more brain power from time to time, can’t we? 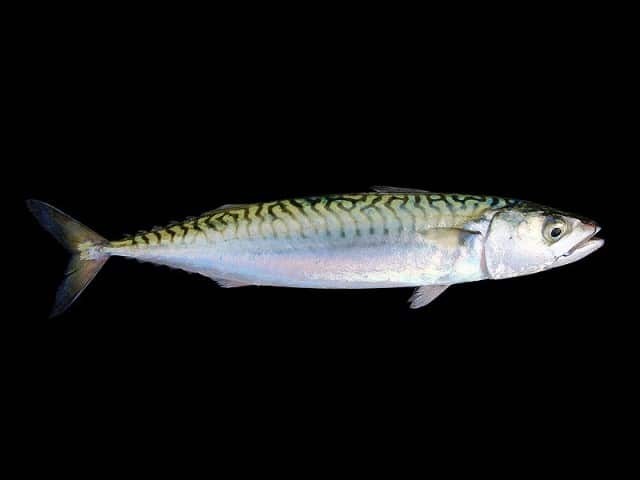 Most significantly, mackerel is a sustainable catch. It’s trawled mid-water, so the nets don’t dredge and destroy the ocean floor, and there is little by-catch – fishermen tend to catch mackerel alone, without much waste. Mackerel grows quickly, and whilst it’s true that inshore European stocks are slightly depleted, deep water Atlantic stocks are healthy. The price of mackerel has been consistently low for several years, and in these testing economic times, everybody needs a bargain. A large mackerel will set you back a couple of quid if you get it from the market. Incidentally, the quality of the seafood on Leeds Market is second to none. The stalls are stocked by the same suppliers that serve most of the major Leeds restaurants, including Harvey Nicholls up the road – your £2 mackerel is exactly the same fish that the city’s best chefs are weaving their culinary magic with and up selling for £20. Of the stalls in Leeds, Ramsden’s is the best. There are many ways to cook a mackerel, but my favourite method is to simply gut it, clean it, slash the skin diagonally four or five times and grill it under a medium grill, flipping the fish over carefully after about five minutes and finishing the other side for a similar length of time. Seasoned, and with a squeeze of lemon, it makes a quick and magnificent dinner. You could also roast it, fry the fillets, or, best of all, eat it raw as sashimi. Less is more with mackerel, so prepare it simply and cleanly.